Australia’s weather is second to none and I wouldn’t trade it for anything. Actually, scrap that, maybe I would trade the weather for a flawless face of makeup that doesn’t end up smudged on my crisp white shirt or requires touch ups come morning tea time. Peak life goals right there. Even though there’s the hint of an autumn chill in the air the sunny days and humid evenings are persistent little buggers, so using the right products—come rain, hail or shine—is imperitive to avoid the dreaded runny-eyeshadow-dripping-concealer look that no blotting paper can fix. We’ve all been there. Here’s how to make sure you never go back there again. The makeup gurus all say we should prime our skin before applying makeup: it smooths texture, prevents shine, and helps your makeup stay flawless for longer. While I loathe adding another step to my makeup routine, this one is kind of nonnegotiable if you want your makeup to slay even during those sweaty evenings. I think that’s worth the extra 30 seconds in the morning, don’t you? Opt for one with broad spectrum SPF to protect your skin and keep you looking fresh for years to come. 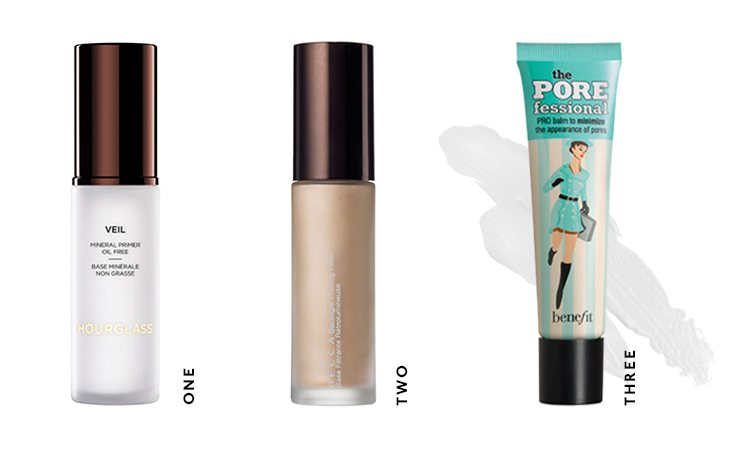 We’re loving (1) Hourglass’ Veil Mineral Primer SPF 15, (2) Backlight Priming Filter by Becca and (3) Benefit’s The POREFessional Face Primer for ultimate priming prep. If you typically use powder foundation and blushes you might notice your makeup turning into a cakey mask when the temps unpredictably soar (autumn heatwaves are real, folks!). Not exactly a great look and not the kind of cake we enjoy, either. 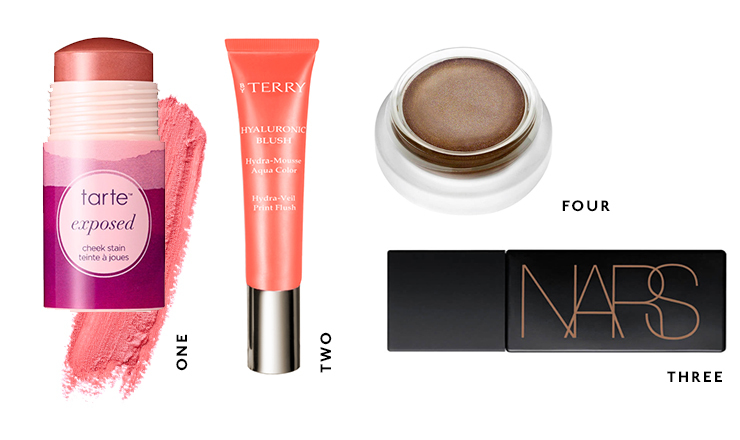 Arm yourself with a cream blush like (1) Tarte’s Cheek Stain or (2) By Terry’s Hyaluronic Blush. More into your bronzers? (3) NARS’ iconic Liquid Laguna and (4) RMS Beauty’s Contour Bronze are must-haves in any beauty junkies beauty bag. I am all about Estée Lauder Double Wear foundation (aren’t we all? ), but when I’m exploring beer gardens and weekend markets I want a lighter layer to ensure I stay fresh and glow-y. Swap out the heavier foundations for lighter BB and CC creams and enjoy all the fresh-faced feels. If you’re still not game, opt for a concealer over the top for modest coverage where you need it most. 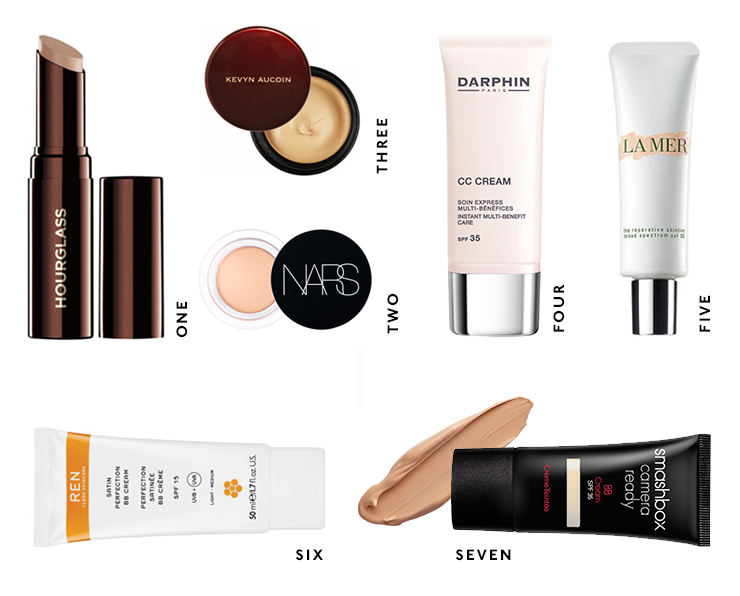 Try (1) Hourglass Hidden Corrective Concealer, (2) NARS Soft Matte Concealer, and (3) Kevyn Aucoin The Sensual Skin Enhancer, and for some top shelf camouflage opt for (4) Darphin CC Cream, (5) La Mer The Reparative Tint SPF 30, (6) Ren Satin Perfection BB Cream, or (7) Camera Ready BB Cream SPF 35 by Smashbox. Are you a self-confessed beauty junkie? Here's how to pack light for your next OS trip.